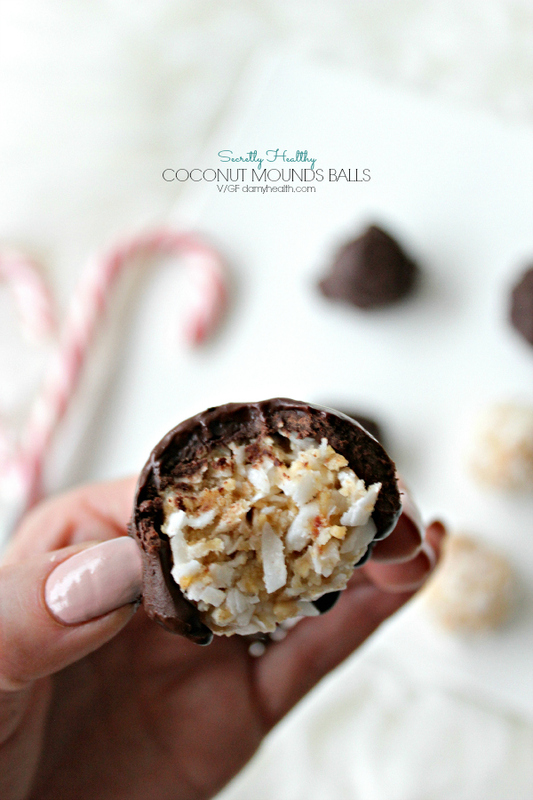 These Secretly Healthy Coconut Mounds Balls are perfect for the holiday season. 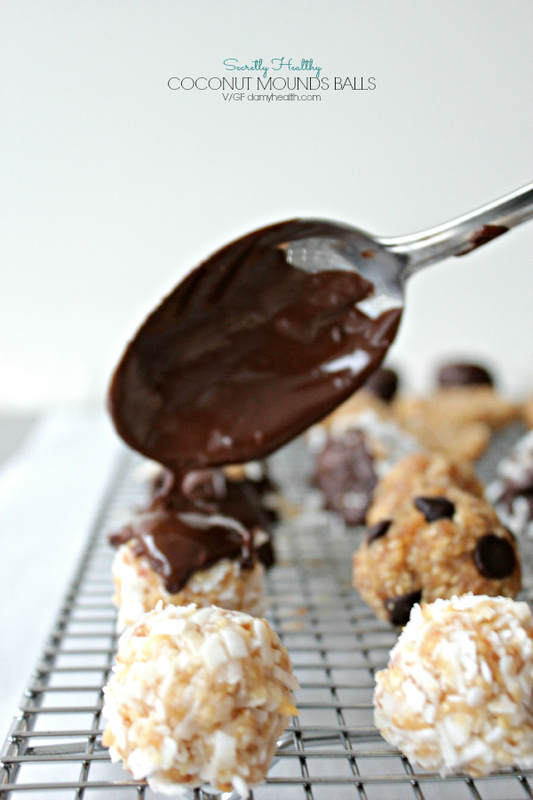 These bite-sized chocolate covered coconut bites are a delicious treat. 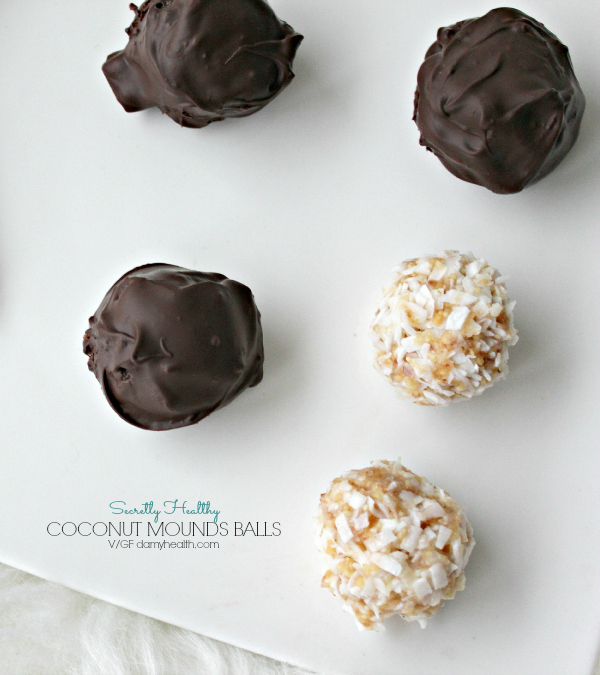 If you love coconut and chocolate you will adore this recipe. 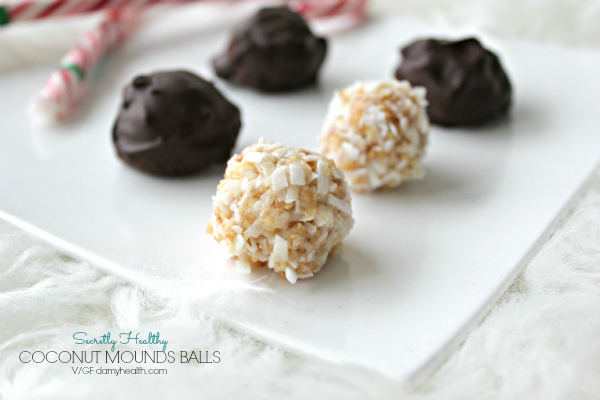 There are lots of mounds bar truffles out there but many contain evaporated milk, added sugar, butter, etc. 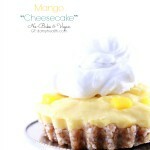 This recipe is made with all natural whole food ingredients so you can have your treat guilt free. 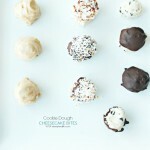 This recipe is perfect for entertaining or even to have in your freezer for a quick-to-grab delicious treat. 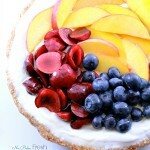 This recipe is a definite must-make and you will find yourself making it again and again. 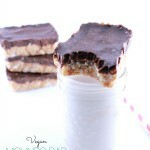 This recipe is vegan, gluten free, dairy free, no bake, grain free and oh, so good! 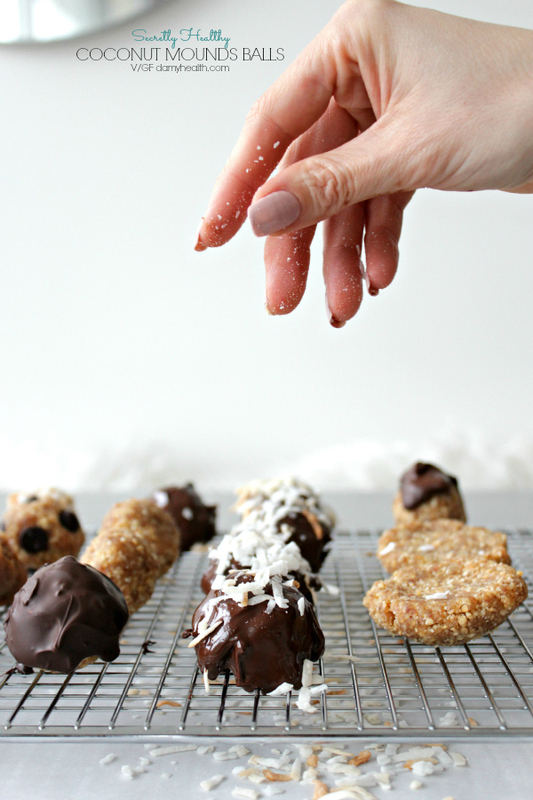 Prepare our Chocolate Coating Recipe found here (or use melted vegan dark chocolate chips). 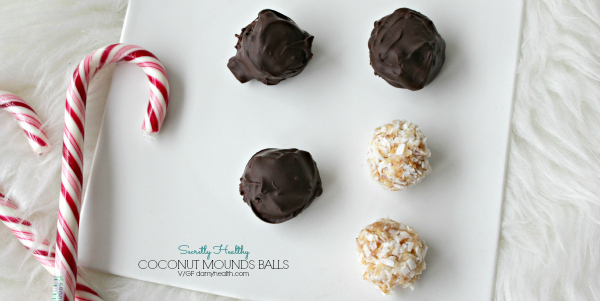 Prepare recipe but do not freeze into chocolates. Leave at room temperature. In your food processor pulse sliced almonds until they are fine almond meal. 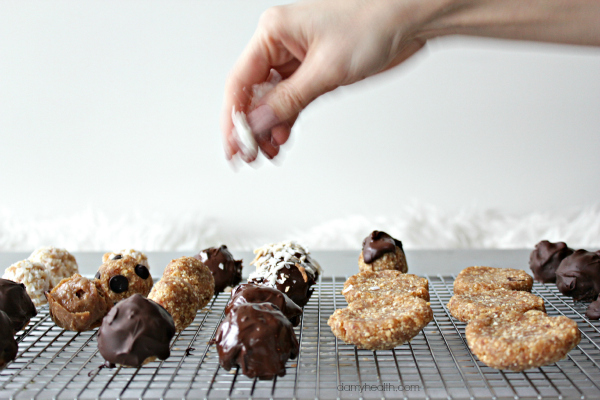 Prepare chocolate coating (directions here) .